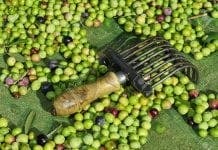 SPANISH farmers are abandoning their olive groves as supermarkets and competition from other countries have forced prices down to a 10-year low. 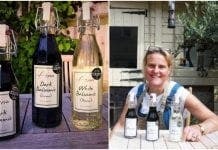 Bumper olive harvests in the last two years and cash-strapped consumers switching to cheaper vegetable and sunflower oils have also contributed to a 50 per cent drop in market value. The EU lifted import tariffs on Moroccan olive oil in February, putting it in direct competition with Spain, which relies on olive oil production as one of its biggest industries. 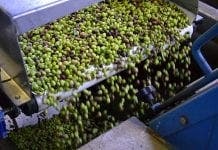 Andalucia is particularly badly affected, with Jaen alone accounting for a third of Spain’s olive oil output and 15 per cent of world production. “We can’t compete with emerging countries such as China, India, Latin America and Morocco,” said Luis Carlos Valero, an olive growers’ representative in Jaen. “There are many sellers but few buyers. Andalucia produced 1.3 million tonnes of Spain’s 1.56 million-tonne 2011-12 harvest, but the wholesale price of extra virgin oil is now worth less than half the €4,800 a tonne it fetched at its peak. Next articleWomen ogling men and rows over resorts… is it any wonder couples fall out on holiday? I asked one of my neighbours if they wanted to pick my Almonds and Olives this year and we can split the proceeds. They said OK with the Olives but the Almonds are not worth anything. He said some places are letting the public pick the Almonds and keep the produce as the labour charges to pick them and clean them up, costs more than it is worth… The Almond trees are hard wood and are good for your fire mixed with some softer Olive wood but they take so many years to grow very big. I planted a walnut tree three years ago but I have read that it takes at least 15 years before they produce anything. Cherry trees are good but unless you net them the birds will strip them quickly. I must have 70 or so almond trees but I think I will chop half down when I retire as this will keep me going in wood for two or three years, they are worth more dead than alive. Maybe they can turn the olive oil in to fuel, could be worth more!! Only just picked this up Mary and would like to explain why people do not pick their own olives. Three years ago we bought a property with 750 olive trees. The people who had been picking the olives no longer wanted to so since the purchase was weeks before the harvest we could not organize anyone to pick them in time. We looked forward to our first harvest the following year and found a local Spanaird to help with the olives. We paid him well and tasted our own olive oil for the first time. He too had some for his family and the rest we sold to the local mill to help with the costs of the harvest. Did we make any money out of it. Straight answer was no but we were happy with the arrangment and so was our Spanish friend. Last year we were about to go down the same route when we had an email from our friend’s wife informing us that we now needed to pay 34 euros a day on top of our friend’s wages to the Government to cover insurance or face being fined, even if we picked the olives ourselves. Needless to say the crop remained on the tree. This year we are a little a head of the game. We are organizing a document that our gardner needs to be able to legally transport the olives from our property to the Mill. No doubt it will cost. What we have been unable to sort out is how we can obtain an exemption that allows us to pick our own olives without risking a fine but we are working on it with the help of our Spanish language Proffessor. The sad thing is that it is our Spanish friend who loses out and many of the olives will go unpicked as there is a limit to what we can pick ourselves. We would happily let him pick them for himself but it seems that we need to pay the Insurance even if we do not employ him. If anyone has a legal solution to this problem we would be very intereste to hear about it. Basically the problem is the same as is anywhere in Spain. Investing and relying on an industry depending entirely on subsidies is all of the above. Anyone who ever drove through the Jaen “Olive Park” will get the idea what the word “Mono-Culture” means, disgusting in my humble opinion, I don’t think one bird lives there anymore. The biggest upside of this crisis is that (at least for now) it seems they stopped throwing good money after bad …….